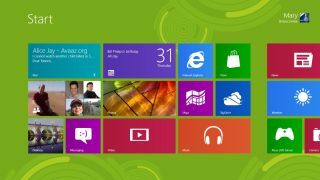 DIY mobile app building website TheAppBuilder, has launched the first self-service Windows 8 app builder which it claims can help businesses create Windows 8 apps "with just a few clicks" and "in minutes." TheAppBuilder allows businesses to quickly create an app for the Windows Store, using a simple drag and drop interface, and once created the app can then be submitted to the Windows Store from within their account on TheAppBuilder.com. James Scott, CEO of JamPot Technologies, the company behind TheAppBuilder explained the reasoning behind the move to Windows 8, "When Windows 8 was announced we felt it was an important step to enable customers of TheAppBuilder to be able to publish a native Windows 8 app as the platform opportunity is going to be huge."